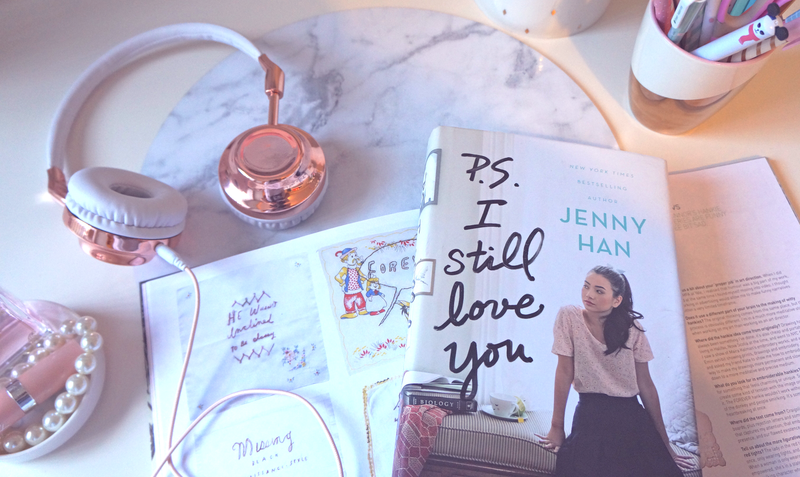 The Girly Geek: Let's discuss: Do you listen to music while you read? 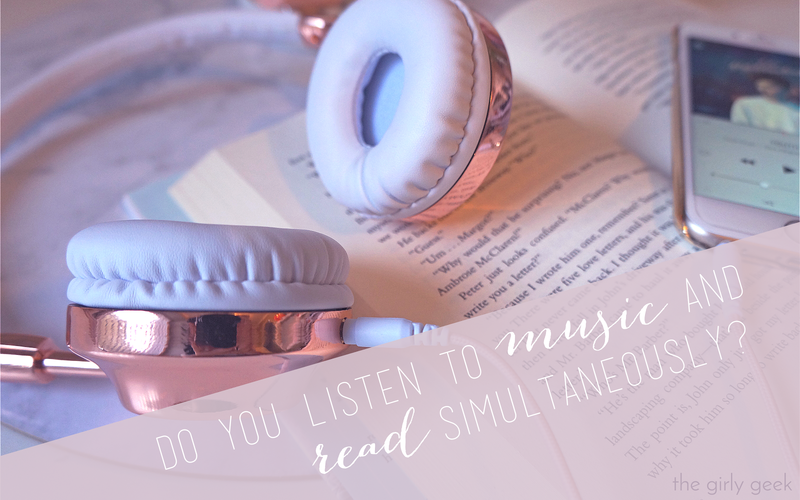 Let's discuss: Do you listen to music while you read? We daydreamers often find comfort in the loving embrace of both music and reading, but for as long as I can remember, there has been a debate over whether the two result in a delightful immersive experience, or create an absolute catastrophe. It all comes down to the individual daydreamer, after all, it is purely subjective. I always see fellow book lovers discussing the topic over twitter, and though I've personally questioned it myself, it wasn't until I sat down to write this post that I really came to learn my own capabilities in this area of expertise. Most people, myself included, find it difficult to concentrate on what we are reading when the lyrics of a song become tangled with words from pages in what I'd call a confusing cacophony. It feels like my brain could explode. It's not that I don't have the capacity to multi-task, it's that I don't want to divide my attention. I devote my mind to the activity at hand, so that I can attain the 'escapism' I'm looking for. I personally think it makes my reading experience richer. I can't even read in spaces where other people are talking loudly. I know of some people who can only read in complete silence, which I can totally understand. It makes sense to me. Others, however, don't seem to have this issue. Lucky them. I know people who can listen to anything, or even have the tv running in the background as they read and simultaneously switch between the two. SORCERY. I cannot compute this kind of multitasking!!! Maybe it all boils down to the type of music. I usually listen to music whilst reading, but when reading I eliminate any music with lyrics. I know, it sounds kind of silly, but it works for me! I listen to mostly film soundtracks, and original scores, they are perfect for epic adventures and action-packed novels because they really set the scene. In cases of contemporaries or romances, I tend to listen to acoustic music, or classical music. ANYTHING BY HANS ZIMMER! - I'm telling you, the man is a genius. The Pride and Prejudice (Music from the motion picture) THIS GETS ME RIGHT IN THE FEELS!! When I listen to it I get all swoony. Yo-Yo Ma! I looove listening to the cello, so my favourite of his is Bach Cello Suite 1. The appropriately titled 'Reading Soundtrack' on Spotify. I'd love to know all your thoughts about this topic, it truly intrigues me. I've always been fascinated when it comes to gaining insight into other people's reading experiences. We're all so different and it makes things truly interesting. So tell me, do you/do you not listen to music while you read? Does it make you feel happy, or as though your brain might implode? What do you listen to? Does this change with different genres of reading? Sound off in the comments and we can chit chat about it! Thank you for reading this post, and I really do hope you join in on the chat! Happy reading my loves!